Today is a national holiday as National Flag Day is celebrated on the anniversary of the death of Manuel Belgrano (who created the flag) in 1820. 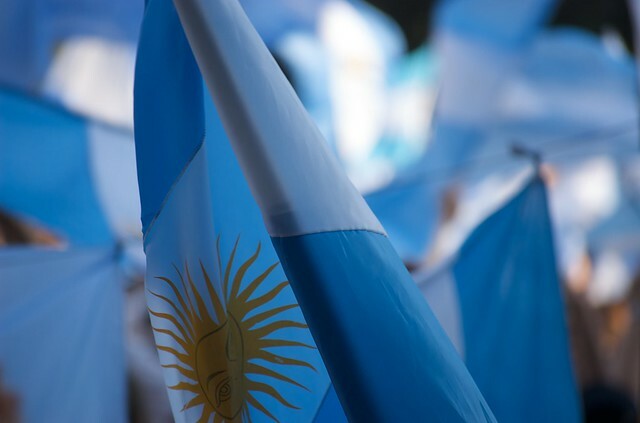 More information about the Argentine flag is available here. For the occasion there will be a special event at the Centro Cultural Recoleta featuring live acts and more from 3.30 pm onwards. Junin 1930, Recoleta. There will also be a special Folklore Peña at the traditional Feria de Mataderos where there will be folkloric dances, gaucho games, typical food and traditional crafts. This entry was posted in Argentine Culture, Buenos Aires Agenda and tagged Activities, argentina, buenos aires,, flag, June, Local traditions, Locro, national holiday, national identity, pastelitos by Fierro Hotel Staff. Bookmark the permalink.